I’m not quite sure how I found this book, but, I’m glad I did. I’ve only read a few vampire books. This one is unlike any other vampire story I’ve read before. Written in first person narrative, it is like a memoir. The author even used her pen name for her protagonist, making it more authentic as a memoir. The internal war raging within the main character makes this such a cerebral tale. The life and death of the human, the resurrection to an immortal vampire, all the pros and cons are contemplated, analyzed and few answers to questions are found by Viktoria. I first thought that the translation from Croatian to English needed some first language editing. There were many grammatical errors for English and some misspelled or misused words. However. those did not keep me from finding myself totally engrossed in the story. Upon reflection I think I would not change it. The way it is translated give it an authenticity that proper grammar and usage never could. The story is told by someone who’s first and maybe even second language is not English. I can imagine an actual verbal telling of the story where the speaker strives to find the right words to express their thoughts and can only come very close sometimes. Speaking as best they can struggling with sentence structure unfamiliar to them and getting close though not exactly correct. I think that made the telling of the story interesting and believable. The main character related her experiences and feelings in such a way that I could feel what she felt and see what she saw. The author expertly showed me all that happened to her in this fictional memoir. Excellent story! Written for adults, I think it is also acceptable for older teens 17 and above. 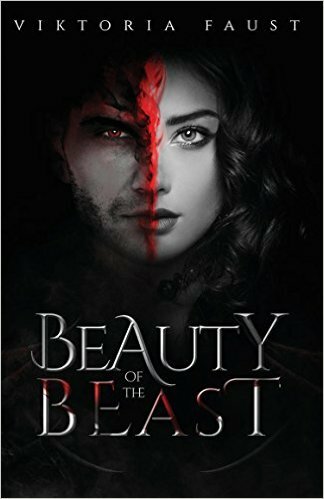 This entry was posted in Book Reviews, Personal Reflections and tagged #IndieBooksBeSeen., Beauty of the Beast, Book review, cerebral, Croatian author, English translation, fictional memoir, indie authors, Paranormal fiction, reviewing books, supporting and Promoting self publishing Indie Authors, vampire books, Viktoria Faust. Bookmark the permalink.